Here is our personal list with practical travel tips for Sweden. The peak summer season usually lasts from mid-June to mid-August. However, more and more foreign tourists have come to love the month of May in Sweden. Moreover, in recent years many Swedish tourist attractions have prolonged the season until the middle of September or even the beginning of October. Thus the summer season has become considerably longer than fifteen years ago. There is also a notable winter season in Sweden, especially in Lapland and in the ski resorts in Värmland, Dalarna, and Jämtland/Härjedalen. The best known ski resort is Åre, which regularly hosts major alpine skiing events. See our list with Sweden’s best alpine ski resorts. The three cities Stockholm, Gothenburg and Malmö are of course premier tourist destinations all year round. We also have a list of regional tourist organisations in Sweden if you want to order brochures, maps or catalogues. Hotels are usually cheaper during the Swedish summer holidays, which are ten weeks long and stretch from Midsummer until mid-August. During the rest of the year, hotel prices are lower on weekends (Fridays – Sundays). It is advisable to always book in advance. If you just come to a hotel and ask for a room, you often pay “regular” (i. e. higher) prices. Read more and book here: Hotels, hostels, B&Bs in Sweden. If you prefer to stay in a holiday home with self-catering, you will find almost 5,000 properties on our site: Holiday homes in Sweden. Wondering what to take along to your holiday home? 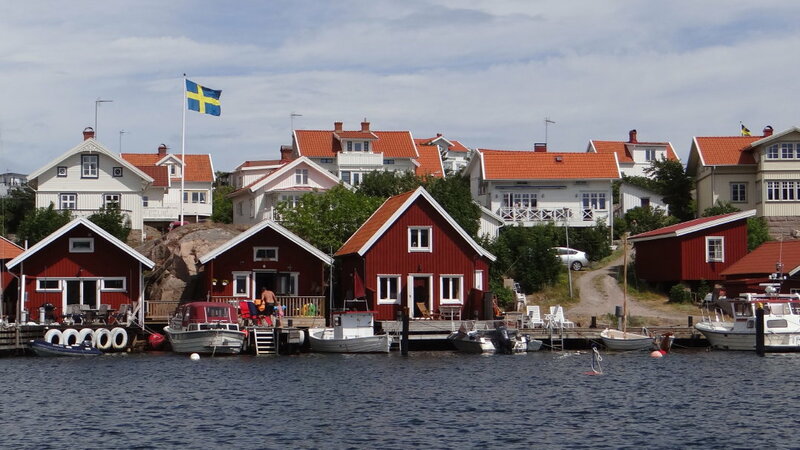 Read our Packing list for your holiday home rental in Sweden. Unless stated otherwise, the speed limit within towns and villages is 50 km/h. On roads the speed limit is 70 km/h, while 110 km/h is the speed limit on motorways (except for cars with caravans where the limit is 80 km/h). All cars must drive with dipped headlights, even during the day and in bright sunshine. Seat belts are of course compulsory (you know they were invented in Sweden). Smaller shops are generally open 10 – 18 on Mondays to Fridays, 10 – 14 on Saturdays. Bigger food stores and shopping centres are also open in the evening and on Sundays. Smoking is prohibited indoors in all public places, shops, restaurants and bars. Likewise, you are not allowed to smoke on buses, trains and trams. When you are invited home to a Swedish family, you will notice that most Swedish smokers smoke on the balcony or in front of the house even if it is freezing cold outside. The right of public access gives everybody (including tourists) the freedom to roam the Swedish countryside. It allows you to swim in lakes, sunbathe on beaches, take a walk, go kayaking, climb a mountain and pick flowers, berries and mushrooms. However, you must show respect and consideration for wild animals, plants and people who live in the surroundings. In short: Do not disturb, do not destroy. For more information see www.naturvardsverket.se. It is advisable to always carry at least one widely-used credit or debit card such as Visa or Mastercard (or a card with the Maestro logo on it). Please do not forget your PIN code, you will need it. Credit cards are widely used even for smaller amounts as Sweden is trying to eliminate cash as much as possible – for security and tax reasons. Some hotels, restaurants, shops and museums no longer accept cash. One prominent example is the ABBA Museum in Stockholm. In Sweden we have a voltage of 230V as in most other countries of the EU. We also use the standard Euro-plug with two round prongs that is used in most Western European countries (with the exception of the UK and Ireland). Please carry any necessary adapter or converter. You will find tourist offices in all major tourist destinations and tourist attractions. They have a green “i” sign. Bigger ones have brochures and catalogues from all over Sweden. However, some cities have begun to close down their tourist offices in favour of online services and smaller info points, such as tobacco and lottery stores. Helsingborg is one example. Everyone speaks English in Sweden. If you like a good meal and are travelling on a smaller budget, we recommend that you eat your main meal at lunchtime, not in the evening. Prices in the evening are usually considerably higher. At lunchtime you can get a very decent “Dagens rätt” (“meal of the day” or “today’s special”) for about 80 to 110 SEK, including salad, bread and butter, soft drink or light beer, and coffee. The meal of the day is usually served until 14:00 hrs (2 p.m.), sometimes even until 15:00. We recommend crystal, design, wooden articles, Swedish fashion, Swedish coffee, hard cheese, crispbread/knäckebröd (especially the large round ones), red and white striped candy canes from Gränna in Småland – and perhaps you want to buy a bottle of Swedish whisky (Mackmyra, for example), Swedish akvavit (our favourite is the Skåne akvavit), Swedish vodka or Swedish gin at the airport on your way home.